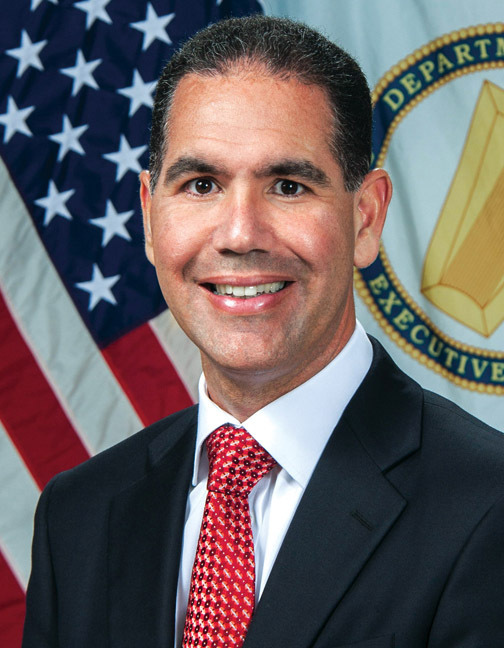 From his Senior Executive Services position at the U.S. Army Corps of Engineers (USACE), Jose E. Sánchez is responsible for leading the development and strategy for both civil works and military programs for the Corps. Before being promoted to his latest position, he led the USACE in assisting Federal, State, and Local emergency management and response organizations as Director of Contingency Operations and Homeland Security, a position equivalent to a two-star general. Mr. Sanchez had little idea when he assumed his prior role in May of last year what a devastating few months lay ahead of him. With the successive arrivals of Hurricane Harvey in Texas and Louisiana, Hurricane Irma in Florida and the U.S. Virgin Islands, and the brutal devastation of Hurricane Maria in his native Puerto Rico, he was instantly engaged in all aspects of planning and coordination with FEMA and other agencies in responding to these disasters. His background in hydraulic engineering proved crucial as he oversaw USACE’s response during the flooding in Houston. Through grueling, around the clock work, his team managed to prevent the failure of the over-taxed Addicks and Barker dams and averting the potential loss of thousands of lives and tens of millions of dollars in property loss and damage. Within days after Maria made landfall, Mr. Sanchez was appointed Director of the Power Grid Restoration Program and faced the challenge of his life: restoring an already compromised power grid as quickly as possible while coordinating with an array of officials on the federal, territorial, and municipal levels, many of whom had unrealistic expectations of what the task entailed and how quickly it could be accomplished. The scale of the problem is still difficult to process, and the numbers involved are staggering: $2 billion dollars, two million hours of labor, 300 million feet of wire, 52 thousand poles, and 10 thousand transformers were required just to get the grid functional. In less than three months nearly 80% of the grid’s generating and distribution capacity was restored, in large part due to Mr. Sanchez’s leadership and professionalism. In addition to the crucial work that he’s accomplished with the U.S. Army Corps of Engineers, Mr. Sanchez has found time to give back to his community in multiple ways. He serves as the advisor to the robotics team at his local high school, and even stepped in to teach Physics there when the school lacked a qualified instructor. He has worked with minority recruiting efforts at the University of Puerto Rico and set up Educational Partnership Agreements between the USACE and Florida International University and Texas A&M-Kingsville. Mr. Sanchez is the author of numerous professional technical publications and has received a large number of awards and recognition, including a Distinguished Alumni Award from the University of Puerto Rico and multiple Superior Civilian Service Awards.